Shiny and sleek, the Winco SD-3 Sherbet Dish 3-1/2 oz. is a lovely way to present sherbert, ice cream, apple crumble and numerous other desserts to your patrons. This stainless steel dessert dish features an attractive paneled design with a shiny mirror-polish finish that will match any restaurant decor, while its footed base will keep it balanced securely on the dining table. 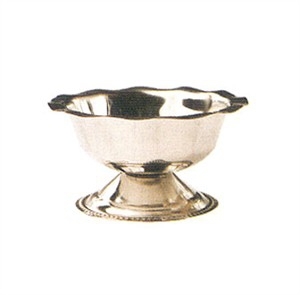 It can also be used to serve appetizers such as shrimp cocktail or tofu bites.